New chiral heterocyclic compounds with a hexahydro-2H-chromene framework were synthesized by reactions of (1R,2R,6S)-3-methyl-6-(prop-1-en-2-yl)cyclohex-3-ene-1,2-diol with aromatic aldehydes in the presence of montmorillonite clay. 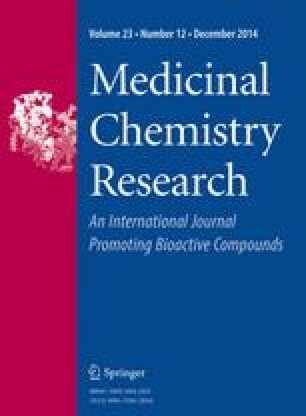 The analgesic activity of the compounds was studied in vivo. The majority of these compounds showed significant analgesic activity in the acetic acid-induced writhing test; the compounds containing one hydroxy and one methoxy substituents also showed analgesic activity in the hot-plate test. (2S,4aR,8R,8aR)-2-(3-Hydroxy-4-methoxyphenyl)-4,7-dimethyl-3,4,4a,5,8,8a-hexahydro-2H-chromene-4,8-diol was as effective as the diclofenac sodium reference taken in the same dose in both tests. It has low acute toxicity and is very promising for further development. The online version of this article (doi: 10.1007/s00044-014-1071-4) contains supplementary material, which is available to authorized users. Authors are grateful to the Presidium of Russian Academy of Sciences (program N 28.5), Presidium of Siberian Branch of Russian Academy of Sciences (Interdisciplinary integration Project No. 54), and Russian Foundation for Basic Research (Grant No. 13-03-00206a) for the financial support.